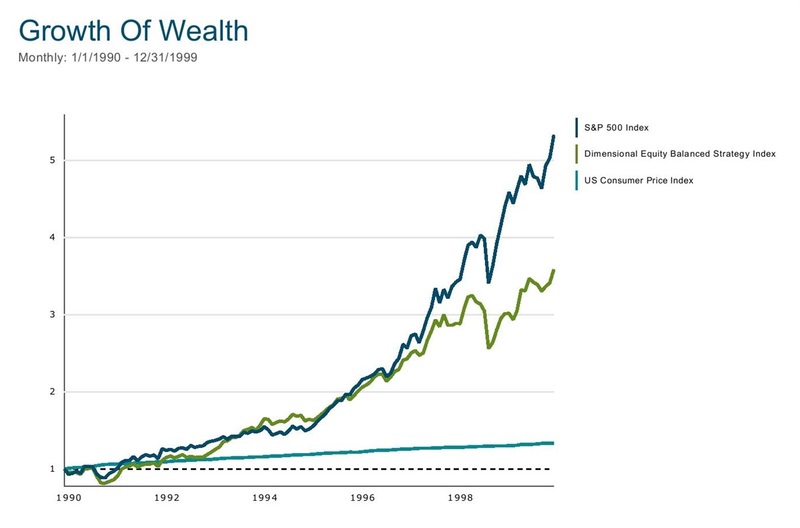 The chart above shows that the smartest investment approach has been to diversify broadly -- owning small-cap stocks, value stocks, and foreign stocks (DFA Equity Balanced Strategy Index) as well as US large companies (S&P 500 Index). 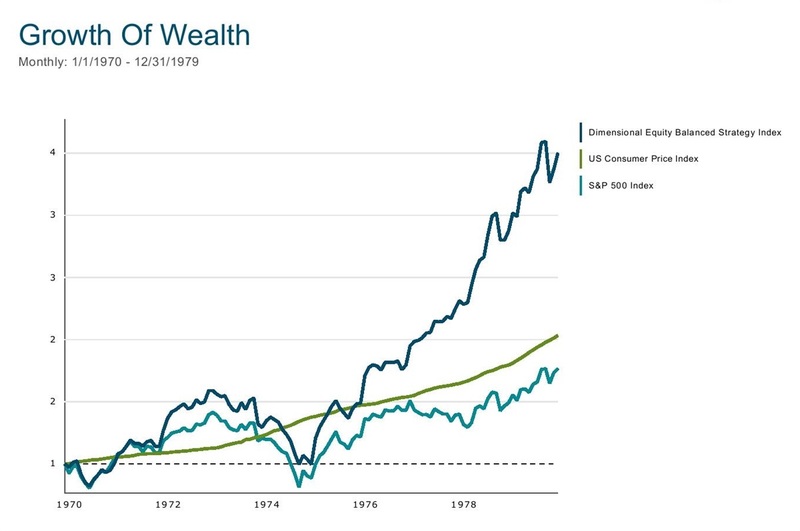 Over the last 47 years a diversified stock portfolio has returned +13.6% annually compared to the S&P 500's +10.3%. 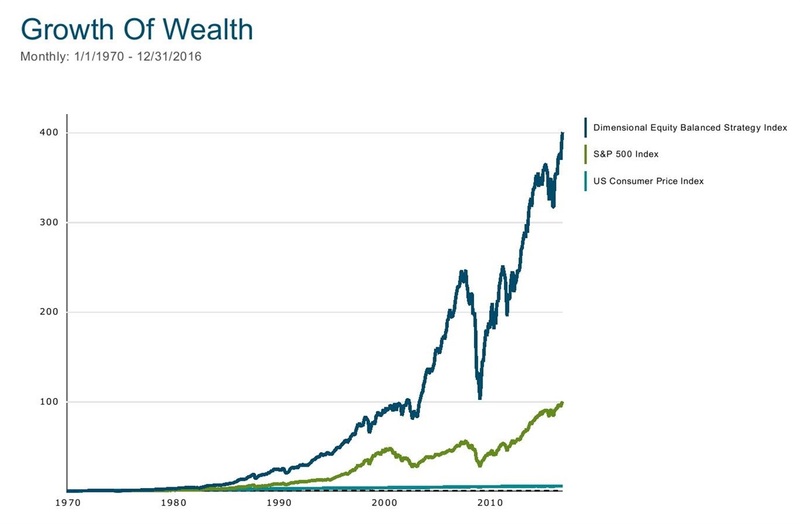 $1 in the diversified portfolio grew to over 4 times as much ($400) as the S&P 500 ($100). The volatility (risk) of those returns were virtually identical. But what works in investing isn't always working. Consider results since 2010. 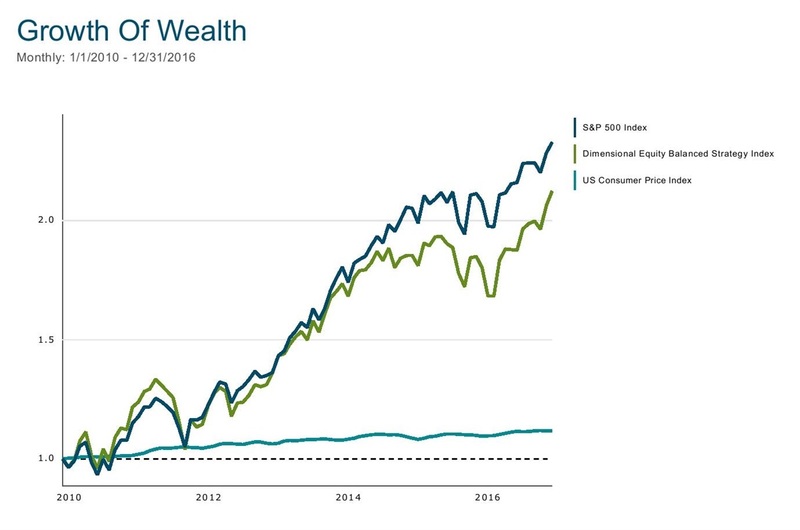 The diversified portfolio has done well (+11.4% per year), but this has been 1.4% per year less than the S&P 500 (+12.8%). This relative outcome has many investors wondering if diversification still "works." The same skepticism was prevalent in the 1990s when all stocks had good returns, but US large cap stocks performed much better than smaller and more value-oriented stocks, not to mention non-US companies. The diversified portfolio's return of +13.6% per year was identical to its longer-term average but paled in comparison to the +18.2% return on the S&P 500. Sandwiched in between these two periods of S&P 500 superiority lies "The Lost Decade" from 2000-2009, labeled this because US large cap stocks had a negative total return for an entire decade, and underperformed inflation by almost 3% per year! But diversified investors didn't suffer the same fate. Smaller stocks, value-oriented stocks, and global stocks performed much better. Not putting all of your eggs in one basket resulted in a more satisfying outcome. The diversified portfolio gained +7.5% per year -- more than enough to achieve reasonable financial savings and cash flow goals. 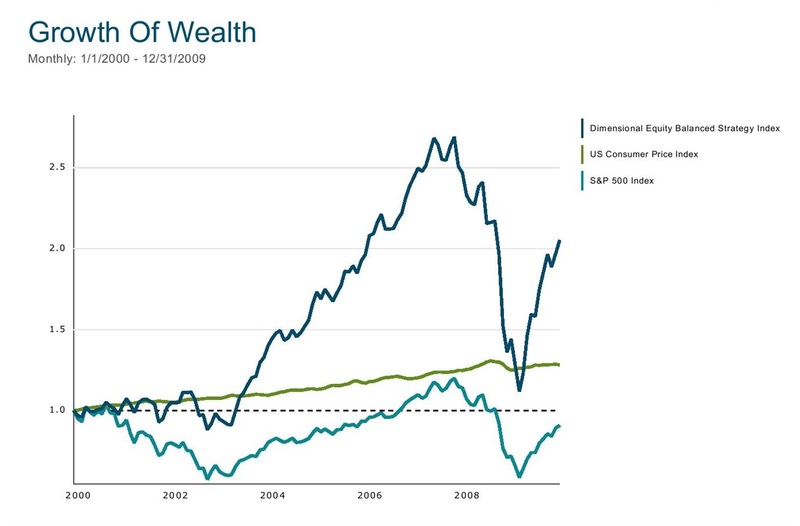 I'm not just cherry-picking the 2000s to make a case against a concentrated index portfolio. We saw the same devastating results just a few decades earlier, during the high-inflation 1970s. While the S&P 500 did manage modest returns (+5.9% per year), this wasn't sufficient to outpace 7.4% annual increases in inflation. Once again, it was broad diversification that would have saved your portfolio from a sub-par outcome. The diversified index gained +13.4% a year, almost identical to its long-term average and 6% per year more than record-high inflation. Unfortunately, this is the reality of a successful and superior investment approach. What works isn't always working. But investors should always try to remember -- beating the S&P 500 isn't a financial goal. Instead, earning an acceptable return that is sufficient to achieve their long-term objectives should be the primary focus. A concentrated portfolio might sometimes outperform everything else, giving the appearance of a shorter path to financial success. But there's a downside to concentration as well -- all individual asset classes can perform very poorly over extended periods. By diversifying more broadly, you give up the chance to have the best performing portfolio, but eliminate the risk that you'll have the worst performing one. This is a tradeoff most investors should be willing to make when we consider that reasonable but consistent returns are more than sufficient to achieve your primary financial goals.